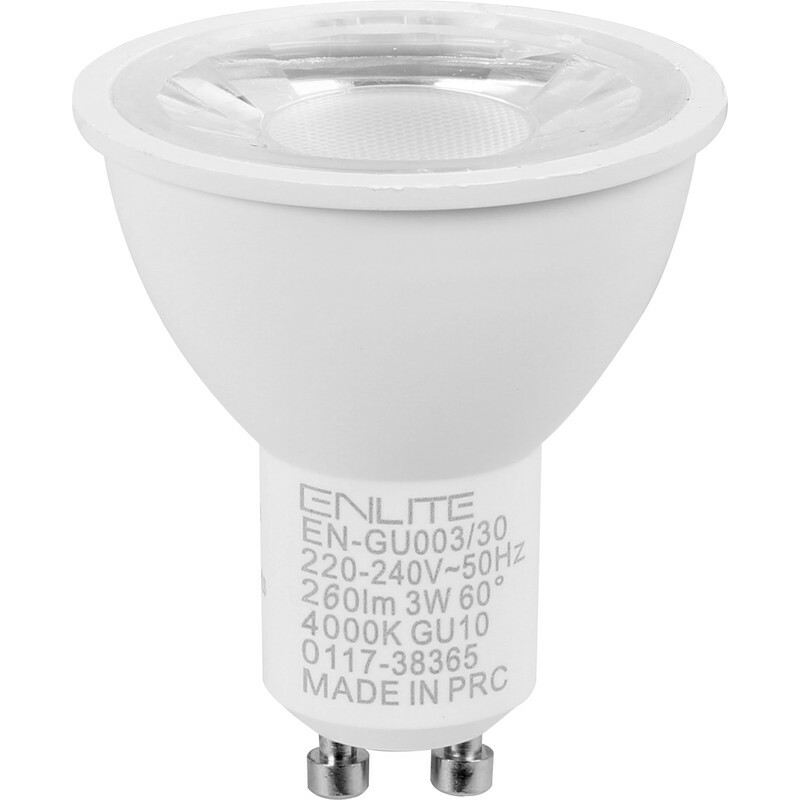 Enlite ICE LED 3W GU10 Lamp Cool White 260lm is rated 4.0 out of 5 by 2. Rated 3 out of 5 by OldDom from Brilliant but slightly longer. Good news. Works great as 50w halogen replacement. Has wider beam than other LEDs so less shadows. I replaced old 5.5w LED spots with these. Bad news. Is too long to fit in lamp holders with fixed base and chrome ring front. Soution. Definitely try one and take it back if it does not fit.